Uluru-Kata Tjuta National Park is sometimes called the heart of Australia. 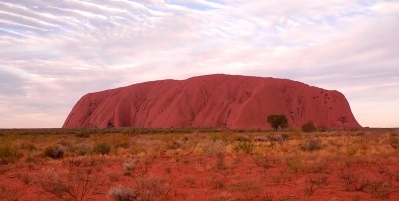 (Uluru was formally known as Ayer's Rock). And when you are there you'll know exactly what that means and not just in relation to where it is in Australia but how you feel when you're in this amazing place. It's also known as the 'Red Centre' and is one of our greatest land marks and as such is a major tourist attraction. In fact any visit to Australia's outback wouldn't be complete without spending some time at Uluru-Kata Tjuta National Park. So here are our tips for the ten things to do to get the most from your visit. Watch the sun rise over Uluru. Experience the tranquillity of the pre-dawn land under a canopy of stars. 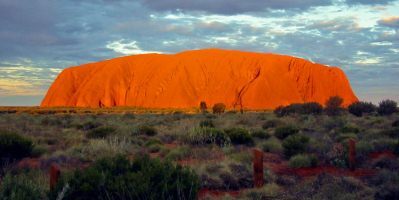 Then watch the amazing transformation as Uluru changes colour before your eyes, from deep purple to bright red then brilliant orange and finally brown. And the silence is quite an experience! You can still climb Uluru but it has become a controversial thing to do. 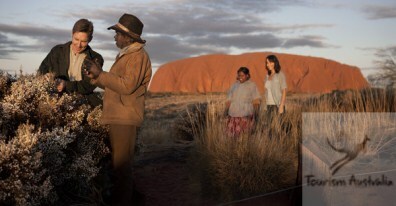 You may not know that the Aboriginal owners of Uluru ask you, and prefer that you not climb the rock. It is a very strenuous climb; 348 metres high with the climbing path about 1.6 km long, can be treacherous and will take about 2 hours. Don't attempt it if you're not fit! Go for a walk around the rock instead. Walking guides and maps are available, created by local Indigenous tour guides. Sit down for a bush yarn in the Circle of Sand with a local Anangu storyteller and learn how to throw a spear or boomerang with an Indigenous guide. There are many different walks offered with dozens of sights to see. 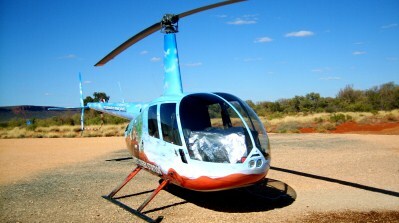 Take a scenic flight over the Uluru-Kata Tjuta National Park by helicopter or fixed wing small plane. One of the best ways to explore the Red Centre and experience Kings Canyon, Uluru and the stunning Kata Tjuta formations is from the air. Flights are available every day and it's a great way of seeing this great Australian landmark. 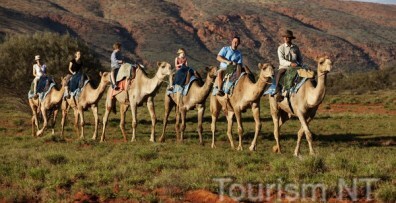 Another great way to explore the Central Australian desert is from the back of a camel. Catch the camel train and ride through the landscape with Uluru-Kata Tjuta National Park as a stunning backdrop. On the way enjoy morning or afternoon tea of freshly baked damper with quandong jam and a cup of billy tea or coffee. 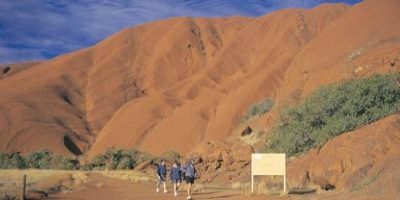 Join a small guided tour group and hear the stories and aboriginal legends of Uluru-Kata Tjuta Nationl Park. Guides are passionate and knowledgeable and will lead you on adventurous educational experiences to exclusive and specialised locations. You'll learn the Aboriginal creation stories associated with this great Australian monolith. Discover the genuine Australian outback in a Mount Conner 4WD Day Tour. 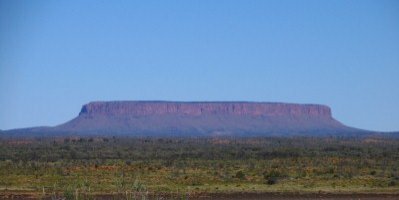 Mt Conner is located 100 kms east of Uluru. This fascinating tour will introduce you to life in the desert without the crowds and is a special way to experience the rugged beauty of true Central Australia. Witnessing a sunset (or sunrise) over Uluru-Kata Tjuta National Park is an awe-inspiring experience and a 'must do' on every visitor's list, believe us you will never forget it. Watch the remarkable changing colours of Uluru as the sun sets over the desert landscape. There are several designated platform viewing areas offering the optimum panoramic views. Dine in the desert under the outback skies. This is one dining experience like no other. As the sun sets, you feast on a BBQ buffet of authentic Australian delicacies including barramundi, kangaroo and crocodile, bush salads and classic desserts, complemented by Australian wines while listening to a storyteller telling yarns from the outback. And finally, take a star gazing tour. This tour is designed for people of all ages with limited knowledge of the night sky but have an appreciation of its beauty. 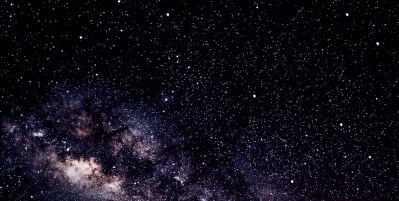 Your astronomer will introduce you to the past, the present and the future and take you on a journey through the southern night sky with its billions of stars as you learn of the evolution of the Universe. If you want to discover something of the real Australia, spend a little time in the ancient landscape of Uluru (Ayers Rock) and Kata Tjuta (Olgas) and discover the creation stories that fill the very stones and rocks that make this desert landscape so unique. Wow! What a trip! It's no wonder some visitors rate a trip to Uluru-Kata Tjuta National Park as the most stunning and sensational thing you can do when you're visiting our great brown land.